Thousands of teachers across the country have walked out of classrooms this year to demand better wages and more school resources, and Los Angeles could very well be next. But a new nationwide poll shows that support for teachers doesn’t necessarily translate to their unions. 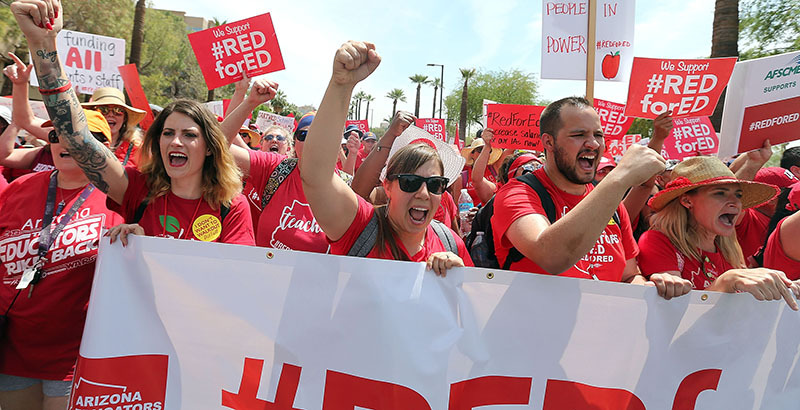 The poll, conducted by USA Today and Ipsos Public Affairs, found that even parents who are greatly affected by the strikes support their teachers, and 6 out of 10 support national teachers unions. But fewer than half of the 2,000 respondents believe that unions improve the quality of education. And a solid majority — 66 percent — believe unions make it harder to fire bad teachers. Statewide teacher strikes have rolled across West Virginia, Arizona, and Oklahoma, and educators have walked off the job in some Washington state school districts as well. Now, Los Angeles Unified, the second-largest school district in the nation, is preparing for what could be its first teacher strike in almost 30 years, which could shutter more than 1,000 schools serving nearly 600,000 students. About 30,000 teachers, counselors, school psychologists, and other members of United Teachers Los Angeles could strike as early as October. The union has been negotiating its contract with the district for over a year, calling for raises, smaller class sizes, “unilateral discretion” over testing, control over whether schools can convert to magnets, more oversight of campus-sharing agreements with charter schools, and other demands. Negotiators entered mediation Sept. 27. The union claims the district has more than enough in reserve to fund its demands. 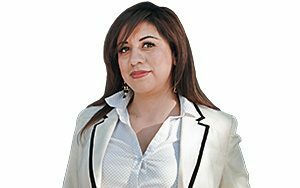 But several weeks ago, top officials from both the county and the state went to the Los Angeles school board meeting to warn that the district cannot keep living off its reserves, which will run out within three years. That would force the county, and then the state, to step in and take over the district. And even though the district says it has budgeted for teacher raises, the county and the state are concerned it can’t afford them. ● 76 percent of respondents approve of their of local public school teachers. ● 73 percent say they had a teacher who made a big, positive impact in their life, and 44 percent say it was a high school teacher. ● 61 percent of parents would encourage their child to become a teacher. ● 66 percent say teachers have the right to strike. ● 60 percent agree that teachers are not paid fairly. ● 78 percent agree that teachers spend too much of their own money on school supplies. ● 60 percent agree that private and charter schools usually provide better education than public schools. ● 60 percent approve of national teachers unions. ● 33 percent of Republicans approve of national teachers unions, while 57 percent of Democrats do. ● 48 percent say teachers unions improve the quality of education; 35 percent say they don’t. ● 36 percent of Republicans believe teachers unions improve the quality of education, while 64 percent of Democrats do. ● 61 percent approve of their local school district leadership. ● 44 percent approve of the U.S. Department of Education’s leadership; 43 percent disapprove. ● 69 percent have a child or children attending public schools. ● 17 percent have a child attending a religious school. ● 11 percent have a child attending a nonreligious private school. ● 8 percent have a child attending a charter school. ● 29 percent have parents, siblings, or children who are teachers.